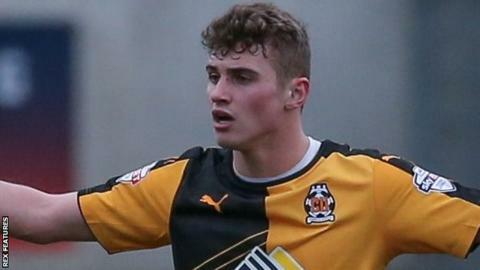 Cambridge United have been fined £7,000 for fielding on-loan midfielder Ryan Ledson in their League Two defeat by Crawley Town on 9 January. £5,000 of the fine, issued by the Football Disciplinary Commission (FDC), is suspended until 31 May, 2017. Ledson, 18, joined from Premier League side Everton in November and has made 16 appearances for the U's. "This was a result of human error and the situation has been dealt with," chief executive Jez George said.